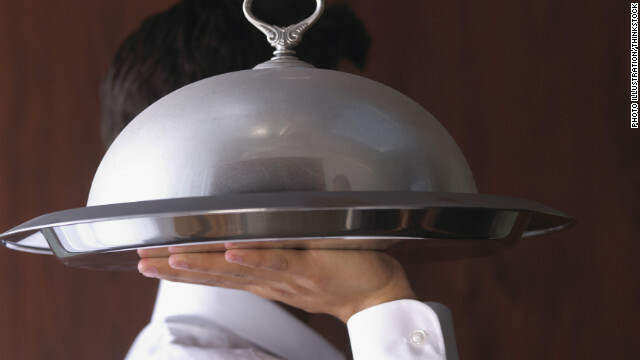 Why your waiter has an M.D. Anthony Youn, M.D., is a plastic surgeon in Metro Detroit. He is the author of “In Stitches,” a humorous memoir about his Match Day and becoming a doctor. The National Resident Matching Program (NRMP) couples prospective applicants with residency programs, sort of like a medical version of eHarmony. Each applicant makes a list ranking the residency programs in their order of desirability. The residency programs do the same with the applicants, and the NRMP matches them up. Not all graduating medical students get matched. So what are all of these doctors doing? The majority of unmatched grads obtain a temporary one-year residency spot with no guarantee of future training. They then reapply the following year with hopes of landing a permanent, multi-year residency position. Others wind up performing research in labs prior to re-entering the Match. Still others abandon their dreams of becoming a practicing physician and exit the medical field altogether. For an unmatched M.D. like Sam, it doesn’t bode well. After going unmatched his first year, he tried to match again the following year, but failed. As the years pass, it’s becoming more and more likely that Sam will never be able to use the degree he earned. I watch Sam meticulously clean and rinse the surgical instruments, his hands moving steadily and purposefully. There is not an ounce of unused motion. The fluidity and grace in his hands remind me of my surgical mentors. Then the sad realization hits me. It doesn’t matter how much Sam wants it. He will never be a surgeon. *Sam’s name and identifying details have been changed to protect his privacy. Update: The National Resident Matching Program has matched 95% of U.S. medical school seniors this year - the highest rate in 30 years, according to a press release sent out on Friday. The largest residency increases were seen in internal medicine, anesthesiology and emergency medicine. Also, 510 more international students were matched than were matched in 2011. Stop this article because a foreign medical graduate is an educated person. I am an foreign medical graduate but I worked a noble profession of teaching before I pass any USMLEs or did further schooling in America. Only an uneducated Americans or foreigners who do not have a green cards that did not finish high school or do not have G.E.D. can do low jobs. Stop spreading this crap! Only an illegal aliens and not foreign medical graduates with legal status are doing this injustice! Tell in your article that an educated person whether he/she is a foreigner as along as he/she has a legal status can work better jobs than uneducated Americans. We all live a busy life and often we forget about important tasks or events at hand. This is why businesses use Bulk SMS to send out reminders to the clients or customers in real-time to ensure they never miss out. Plus, this also builds a positive relationship with your audience. Today, marketing is now about being straight to the point when it comes to promotions with no overselling or exaggerations regarding how good a product or service is. Bulk SMS enables you to send concise content to prospects and also enables you to measure the results in market research and segmentation.